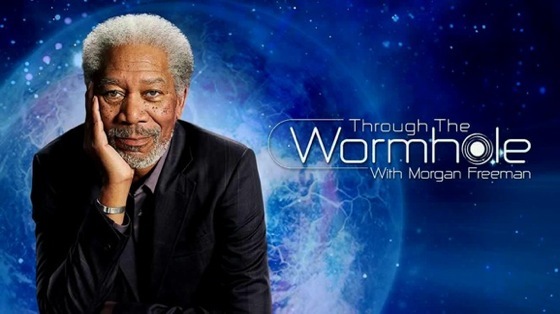 I recently had the opportunity to ask a few questions to the Executive Producer and VP of Production Bernadette McDaid of the hit television show Through the Wormhole with Morgan Freeman on the Science Channel. The show airs every Wednesday at 10pm. Check your local listings. Jay Katz: Two part question to start off; How did the concept of the show Through the Wormhole with Morgan Freeman come about? And for InvestComics’ fans that aren’t familiar with the show, what can you tell them to get them on board? Bernadette McDaid: Through The Wormhole with Morgan Freeman is one of Science Channel’s most successful series where each week we pose mind blowing questions that impact humanity and the universe we live in. Each episode features leading experts, thinkers and scientists in their specific field presenting groundbreaking theories. Every week viewers are presented with new perspectives and ideas that push the boundaries of conventional thought. The concept came when we heard that Morgan was fascinated by science and had a passionate curiosity about the world around us and our place in it. We invited him to join us on a visit to meet our amazing collaborators at NASA and the show has been a shining success ever since! (JK): The show pushes some boundaries with its subject matter; The God Experience, String theory, etc. Do you ever feel like there is a theory/topic that is simply too risky to fathom going near or is everything on the table ready to be explored? (BM): The goal of Wormhole is to encourage the viewer to think about the universe we inhabit, and the people in it, differently. We are open to exploring all topics that we think can positively alter one’s view of the world. (JK): How does one manage to get “God” (Morgan Freeman) to do the narrative for a television show? (BM): Morgan is very passionate about the subject matter so it is a natural fit. (JK): Does Morgan ever come up with show ideas? (BM): Yes! The generation of ideas is a collaborative effort between the stellar team here at Science Channel and the terrific team at Morgan’s production company, Revelations Entertainment. Morgan always weighs in and brings great insight. (JK): Executive Producer’s James Younger, Lori McCreary and Tracy Mercer use the word scientist when answering a question on a promo piece on the Science Channel.com. Do the scientist that are involved with the possible theories you present to them totally geek out or are they very serious with their approach? (BM): All of the scientists we work with are top of their field and recognized thinkers. It’s a true pleasure to get an insight into some of the greatest minds living today. And yes, all of us geek out about our passions! 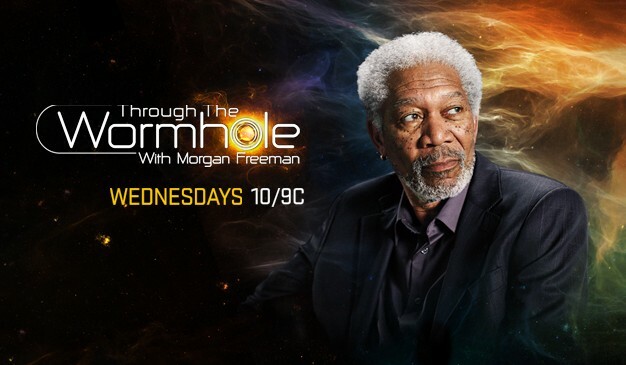 (JK): Through the Wormhole with Morgan Freeman is now entering its fifth season. What are some highlights looking back? Shows like; Is Time an Illusion, Alien Life Forms, Warp Drive, Birthplace of Time…., which if not all had you sit back in your chair and give you goose bumps. A moment that says, yes this is a show that is driving home a poignant point. (BM): The premiere episode this year is a show called Is Poverty Genetic? 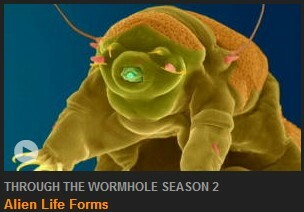 As a topic, it pushed the brand of Wormhole into new territory. Morgan, myself, and all the team strongly believe it was an important question to ask. It was also a personal question for Morgan and I as we both come from modest backgrounds. It is an incredibly powerful and hopeful episode and one the entire team is very proud of. (JK): What about the superhero genre? “Superheroes Living Among Us” Yes? No? Maybe? (BM): I never say never! (JK): What shows are some of the shows coming up? 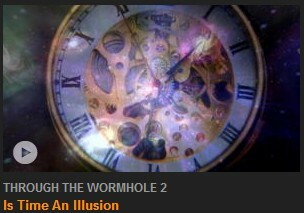 (JK): Where can people follow everything Through the Wormhole with Morgan Freeman? Thank you Bernadette McDaid! 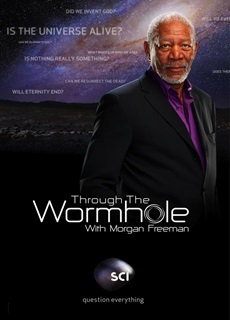 Watch Through the Wormhole with Morgan Freeman on the Science Channel! Tags: Alien Life Forms, Bernadette McDaid, Birthplace of Time, Is Gravity An Illusion?, Is Poverty Genetic, Is There A Shadow Universe?, Is Time an Illusion, James Younger, Lori McCreary, Morgan Freeman, Revelations Entertainment, Science Channel, String theory, The God Experience, Through The Wormhole with Morgan Freeman, Tracy Mercer, Warp Drive, When Did Time Begin?, Will We Become God?